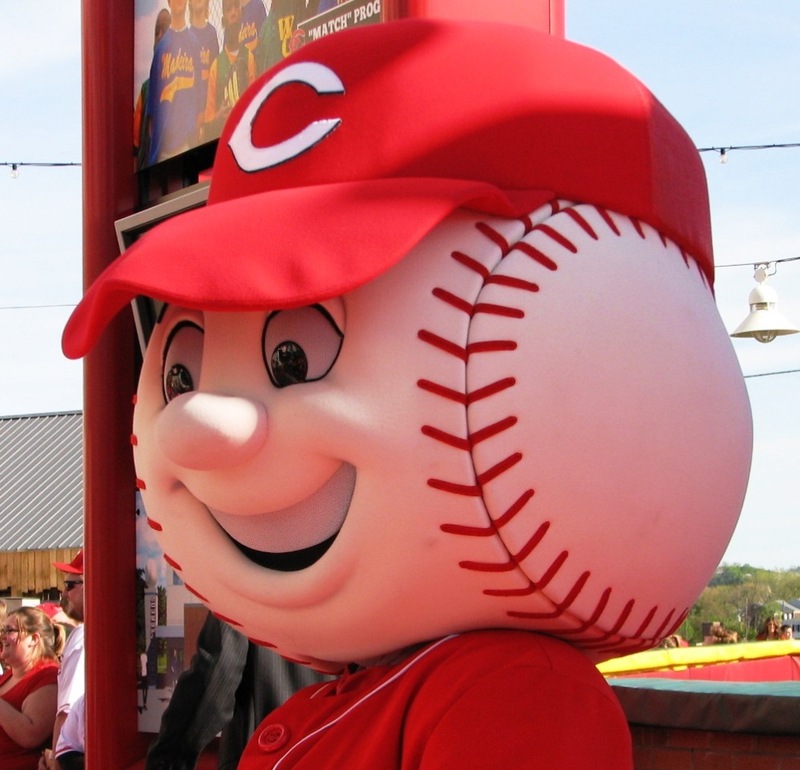 For the last couple years, the Cincinnati Reds have turned Opening Night into quite an event, one that I think is more enjoyable than Opening Day. The first event after the gates open a couple hours before the first pitch has all Reds on the 25-man roster walk down a red carpet and pose for pictures and sign a few autographs for many of the fans gathered at the fences beside the carpet. In previous years, the red carpet walk was not optimized, with the players wandering around a wide open space, and fans dangerously pushing against each other to try to get close to an autograph opportunity. We criticized this in a podcast last year, and we were very happy to see the criticisms were addressed this year. 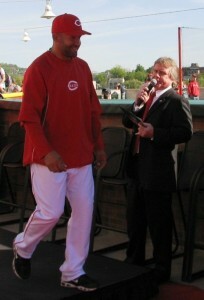 The red carpet was extended, and there was plenty of space for fans to gather along the walk route. I never once felt like me or my son might be trampled to death. 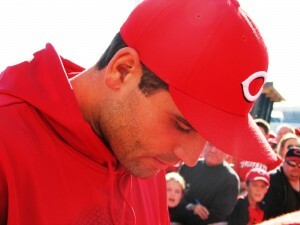 Plus, it gave me the opportunity for some nice up-close pictures of all the players. Rosie wore a red gown for her walk down the red carpet. 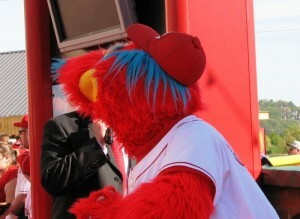 Mr. Red wore his usual outfit for his appearance on the red carpet. Gapper has worn a top hat and tails in the past, but kept his traditional baseball outfit on this time. 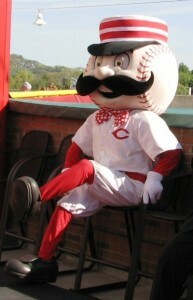 Mr. Redlegs, sporting a snazzy bowtie, takes a break during his red carpet walk. Logan Ondrusek (or Ryan Ludwick) is a reliever (or outfielder) for the Cincinnati Reds. Miguel Cairo didn’t get the memo about walking. He chose to almost sprint down the carpet. 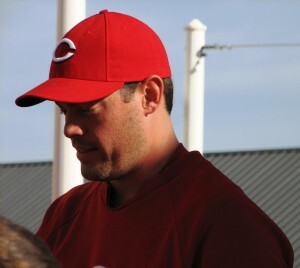 Ryan Ludwick (or Logan Ondrusek) is an outfielder (or reliever) for the Cincinnati Reds. Joey Votto isn’t paid to sign autographs, but it’s sure nice when he does. 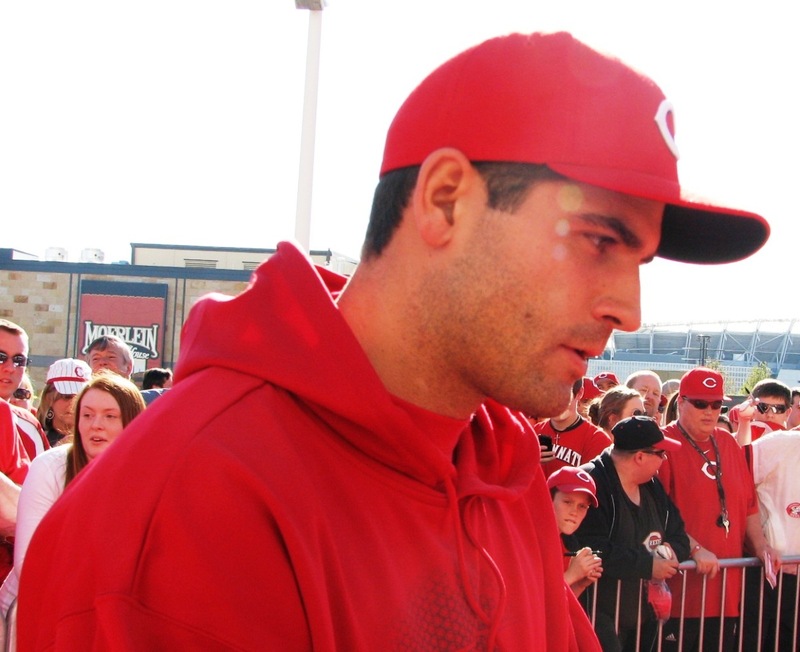 Like I said, Joey Votto was very close. And he signed my son’s jersey! Joey Votto stopping for a chat on the red carpet. 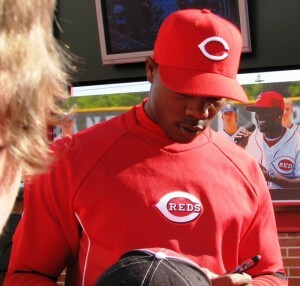 Sean Marshall stopped and signed a few autographs. 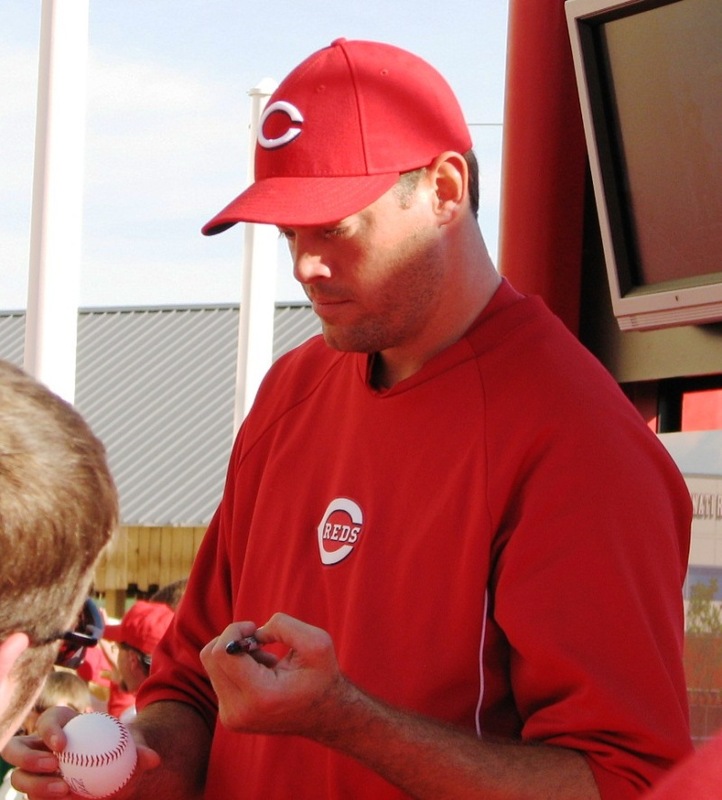 Apparently, Sean Marshall signs left-handed, too. Sinister. 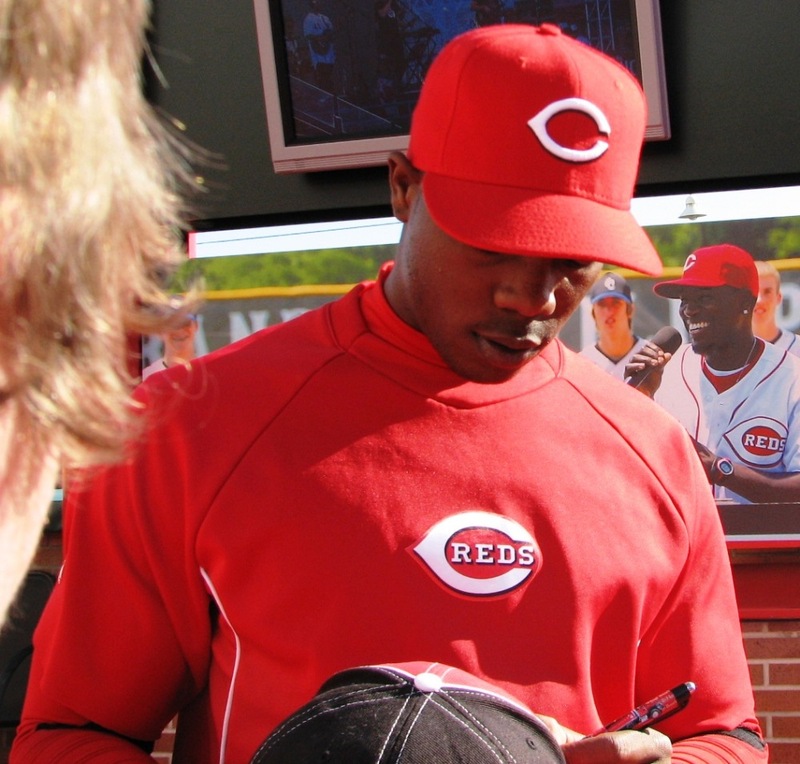 Aroldis Chapman signed without saying a word. 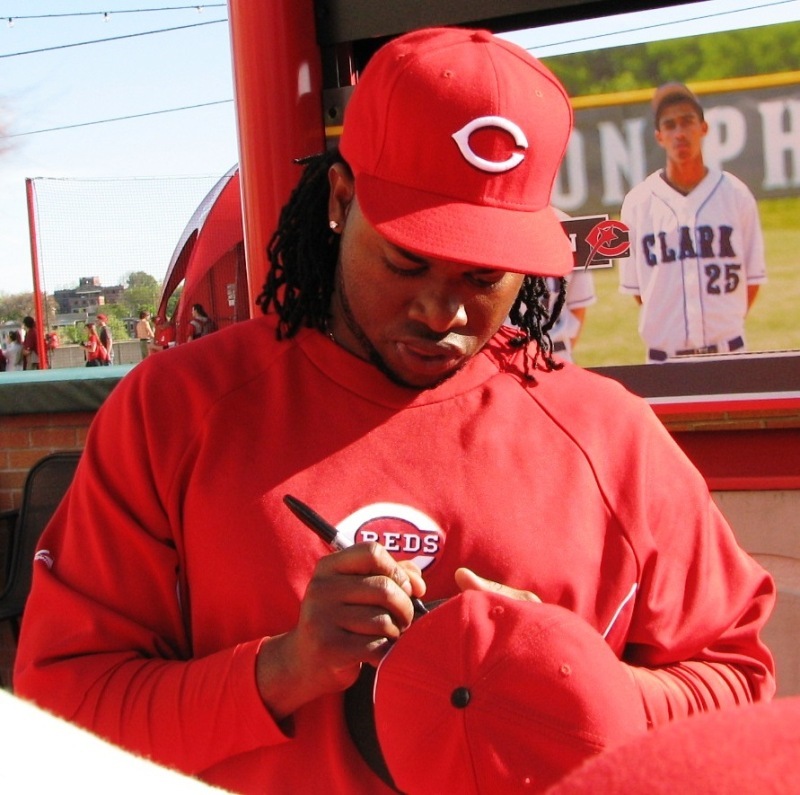 Johnny Cueto brought his own Sharpie to sign. Johnny Cueto finished signing the hat and moved onto the next fan. 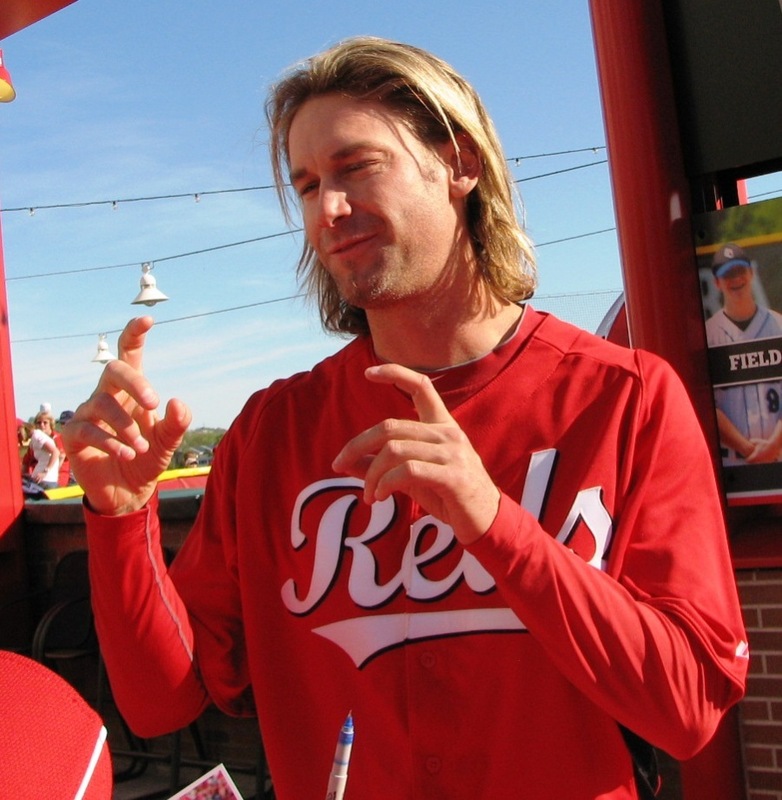 Bronson Arroyo walked through and explained his carpal tunnel prevented him from signing. 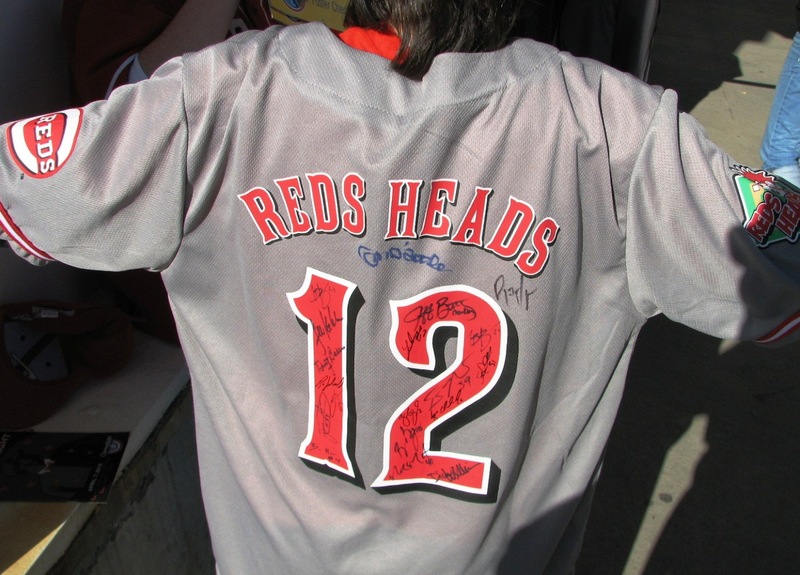 The night’s prize: signatures from Logan Ondrusek, Ryan Ludwick, Joey Votto, Sean Marshall, and Johnny Cueto. 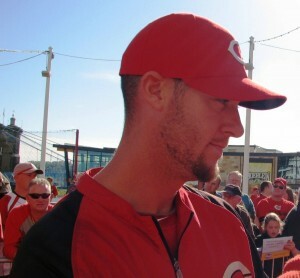 As usual, the Reds put on a great event, and the players were all friendly and accommodating. I definitely got a thrill when Joey Votto was standing next to me signing my son’s Reds Heads’ jersey. The game didn’t turn out so well, but overall, the night was awesome. 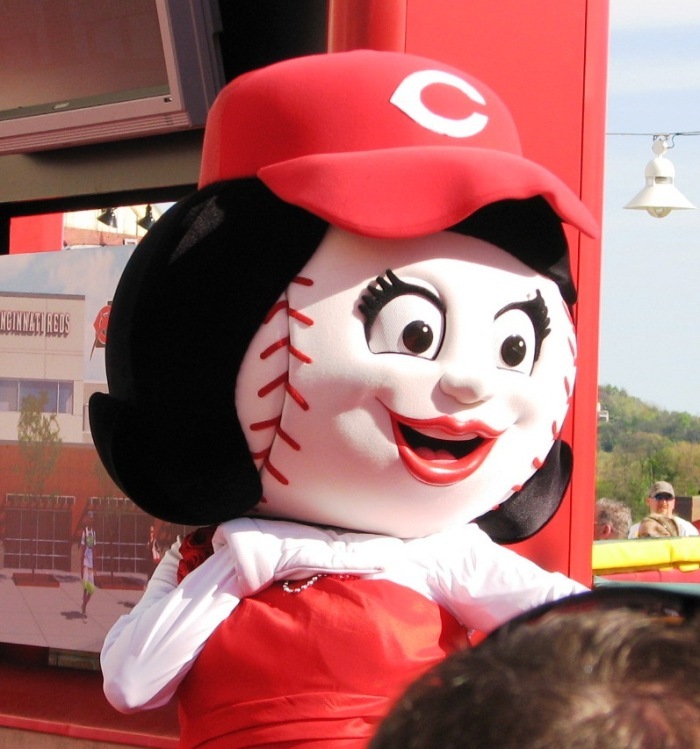 Just the second series of the season and we’re already hosting the St. Louis Cardinals. It’s always a fun series to comment on, even if it’s not always a fun one to watch. The way live blogging goes around here is that I’ll add comments to this post throughout the game. Occasionally others pipe in, and you’re welcome to as well, but I won’t let the lack of someone responding stop me from talking. I don’t let it stop me when walking down the street, and I don’t see why I should let it stop me now. 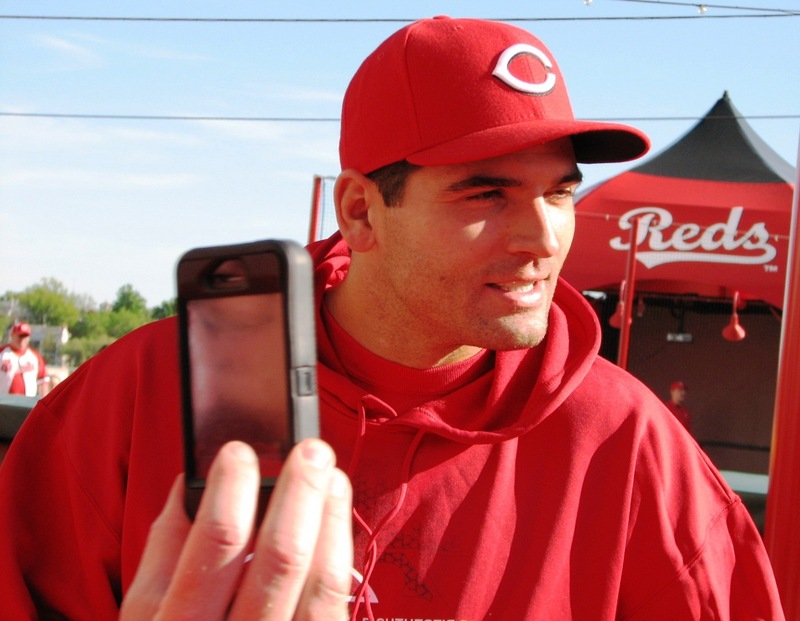 What will it be like to see the Cardinals sans LaRussa, Pujols, and Carpenter? 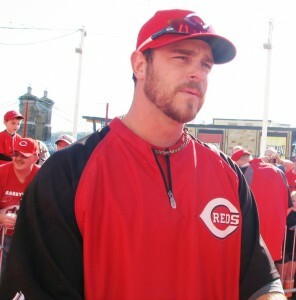 Or is Carpenter still around, complaining about everything that crosses his path from the far end of the bench? 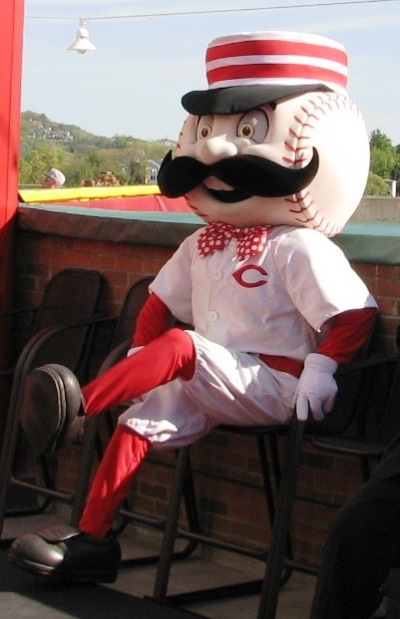 I am confident that he’s complaining about something, somewhere. I can just feel it. 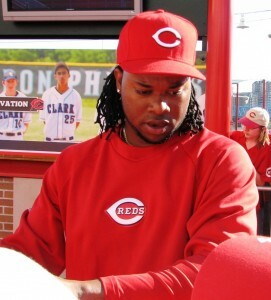 Pitcher hitting ninth? What would LaRussa say?? 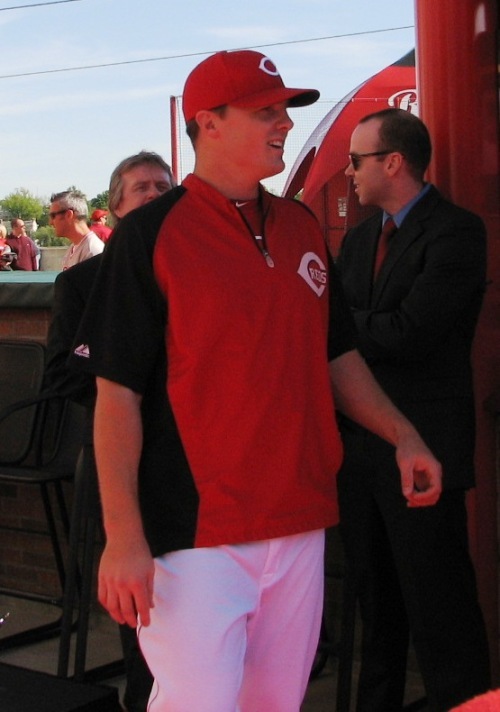 Posted in Cincinnati Reds, Game Thread, St. Louis Cardinals.